This 2660 Deluxe 6-oz. 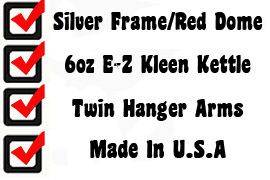 popcorn machine features a stainless steel kettle for fast warm up and consecutive three-minute popping cycles.Silver frame with red dome, Extra Heavy duty welded frame. Twin hanger arms are slanted for more kettle room. E-Z keen kettle. Heavy duty kettle drive motor. Tempered glass. Heated Corn Deck The 2660 offers a two year parts warranty and six months labor. 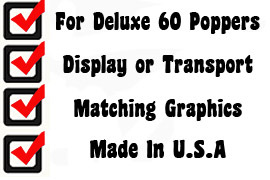 Deluxe 60 Special Popcorn Popper #2660 from Gold Medal. There's nothing ordinary about this 6-oz. popper - its distinctive design and deluxe features make it an industry powerhouse. 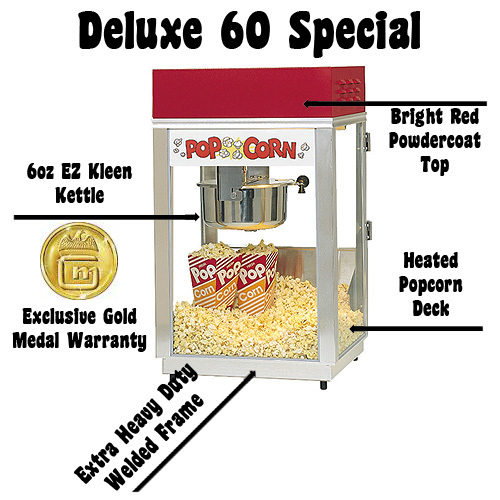 The Deluxe 60 Special Popcorn Popper #2660 features a welded frame, tempered glass, heated corn deck and heavy-duty motor. Try this popcorn machine at any small venues!